Los Angeles (April 19, 2018) – Samsung Electronics America announces the first ever LED cinema screen in the U.S. at Pacific Theatres Winnetka with XD in Chatsworth. As the industry’s first LED DCI Compliant and HDR capable theater display, the Samsung Cinema LED screen creates a next-generation viewing experience. Stretching nearly 33.8ft wide and 17.7ft in height, and featuring nearly 9 million pixels, Samsung’s LED cinema screen delivers exceptional visual quality, technical performance and reliability. The LED cinema screen can display true black colors, offering a superior visual experience to the distorted or grayed-black hues commonly offered by legacy theater technologies. Samsung’s partnership with HARMAN International also allows for crystal-clear sound and a true multi-sensory experience through its JBL Professional cinema sound audio system. Samsung’s LED cinema screen is just the latest addition to its ever-expanding lineup of theater-ready technologies. Screens are capable of 2K, 4K, 3D, and HDR. 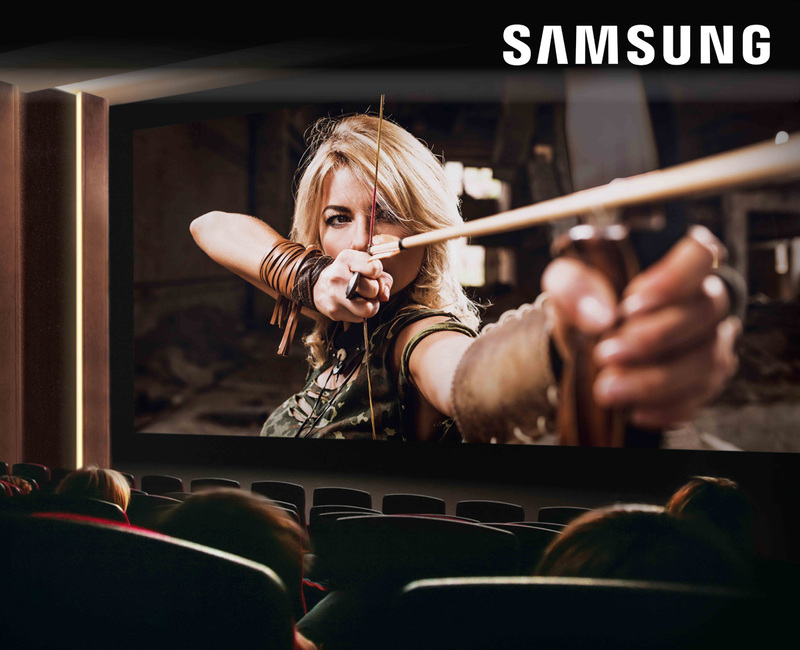 Consumers can go see a movie on the new Samsung cinema screen this weekend at Pacific Theatres Winnetka with XD.